For more than a quarter of a century, John Paul Jackson has served as an advisor, mentor, teacher, pastor, and friend to spiritual leaders and students around the world. Multiple international church authorities from all denominations have sought John Paul's counsel. He has met with spiritual leaders in more than twenty countries, including the U.S., England, Scotland, Israel, Russia, Poland, Korea, and the Ukraine. In 1993 John Paul founded Streams Ministries International, a nonprofit ministry organization with a multi-disciplinary approach to help others fulfill the purpose for which they were created. Streams Institute for Spiritual Development, Streams Publishing House, Streams Music Group, Streams Internship Program, InterpretMyDream.com, Pinnacle Prayer Convergence International, and the Association of Bridge Churches have all blossomed out of John Paul's recognition for God's people to impact the world outside Church walls with God's power, revelation, innovation, and sovereignty. John Paul has sought to encourage, motivate, and equip believers in developing greater measures of God's character, wisdom, maturity, and authority. In 1997 the Streams Institute for Spiritual Development was birthed to address this need. His premier course, The Art of Hearing God, has successfully graduated more than 30,000 students and continues to grow exponentially as new teachers are trained and Streams centers are established. Requests for John Paul's counsel on dream interpretation, especially from leaders, have increased significantly in recent years. John Paul's vanguard approach to interpreting dreams arises from years of meticulous study of God's Word, including every dream, vision, parable, and supernatural event recorded in it. 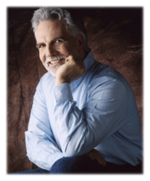 Intricately detailed journaling, logging, interpretation, and research of more than 40,000 personal and shared dreams, visions, and experiences over the past 25 years have firmly established John Paul's expertise in dream interpretation. At the forefront of prophetic ministry for more than 25 years, John Paul Jackson understood that Jesus often drew people to Himself by using words of knowledge and prophetic revelation, and so Streams students are trained to use prophetic gifts to hear God for others. Armed with encouraging words, "spiritual readings," and dream interpretation skills, students spill outside church walls and into coffee shops, malls, festivals, and neighborhood get-togethers. Prophetic evangelism has now become the means by which many other ministries touch the lives of thousands with God's love. Two of Streams Institute for Spiritual Development's most popular courses are Course 201: Understanding Dreams and Visions and Course 202: Advanced Workshop in Dream Interpretation. Some graduates of these classes go on to participate in Streams dream and prophetic teams. A novel approach to engaging spiritual seekers, these trained teams have established their presence over the past three years at major events such as the Sundance Film Festival, the Super Bowl, and Mardi Gras. John Paul has planted four churches and currently oversees two church plants in North Shore, Massachusetts, and Framingham, Massachusetts. A veteran of church leadership, John Paul has been the senior pastor of five churches and has served on various church staffs in the U.S. His greatest inspiration and mentor for innovative church planting and development was the late John Wimber. John Paul has appeared on Benny Hinn's This Is Your Day, Cornerstone Television Network, Daystar Television Network, Pat Robertson's The 700 Club, the Trinity Broadcasting Network, and God Digital in Europe. John Paul has authored seven books, some of which are currently published in five languages. Two books, Unmasking the Jezebel Spirit and Needless Casualties of War, are considered best-selling revelatory works that have sold more than 100,000 copies each. Streams Publishing House plans to release two new books by John Paul in 2006. Family life is John Paul's number-one priority as he limits the number of his speaking engagements to spend more time with his family. He and his wife, Diane, have been married for 29 years; they have two children and three grandchildren.